EVEN HEAT. EVEN BETTER TASTE. 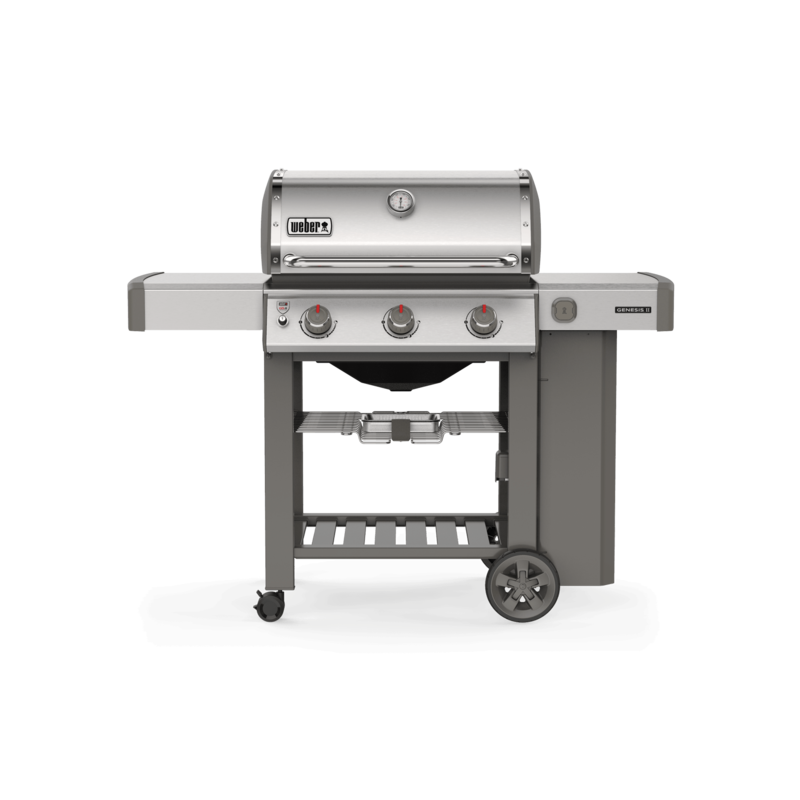 Upgraded features and stainless steel components bring versatility and a premium look to your backyard. Invest with confidence, knowing that you’re covered by the strongest warranty on the market. Each component of GS4 was uniquely designed with power, durability, and for grilling amazing food. The Infinity Ignition is guaranteed to ignite. Rest assured that you’ll be up and grilling the first time, every time. The unique, tapered shape delivers a consistent gas flow from front to back. This provides ultimate heat distribution, ensuring that food grills evenly and consistently anywhere on the cooking grates. Stainless Steel Flavorizer Bars are angled just right to catch drippings that smoke and sizzle, adding that irresistible smoky flavor that we all know and love to your food. Drippings that are not vaporized by the Flavorizer Bars are funneled away from the burners into the disposable drip tray, located within the removable catch pan under the cookbox. Simply remove the catch pan and replace the drip tray as needed. 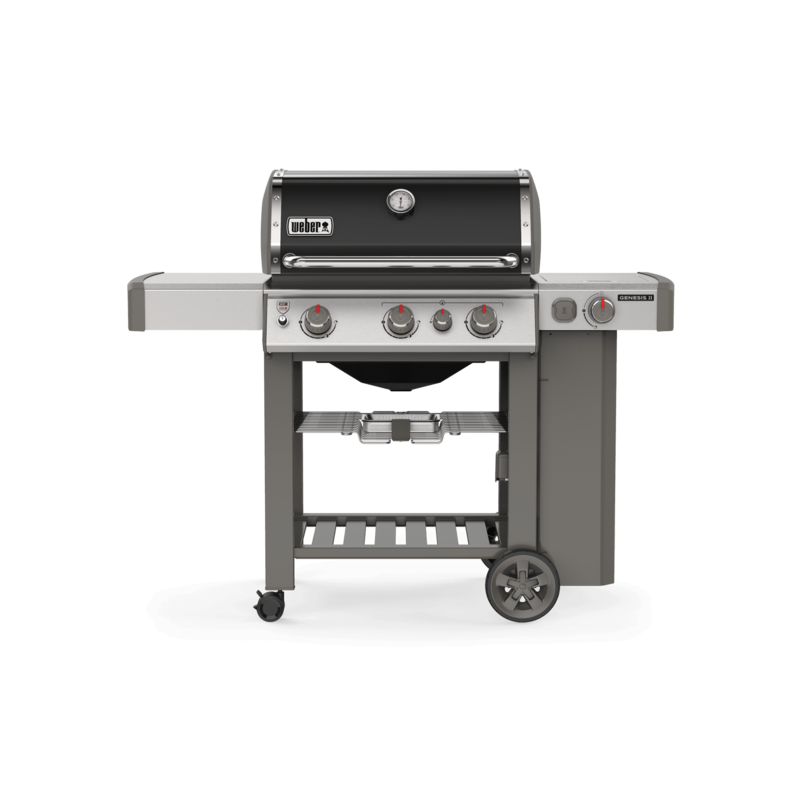 The Weber iGrill is your answer to perfectly grilled food, every time, and mounts directly into your Genesis II or Spirit II gas grill. This app-connected thermometer allows you to monitor the doneness of up to four cuts of meat, from beginning to end, and notifies you on your smart device once food has reached the perfect temperature to serve. Grill at home or on the go. Compact to fit perfectly on smaller balconies and patios. Turn your backyard into a fully functioning kitchen. 3 stainless steel burners with 39,000 BTU-per-hour input and a total cooking area of 669 square inches. 4 stainless steel burners with 48,000 BTU-per-hour input and a total cooking area of 844 square inches. Our natural gas grills come with a 10-ft flexible hose to connect your grill to the supply line. The sleek open-cart design provides easy accessibility of your grilling tools. The grill cabinet adds enclosed storage space for all of your essential grilling tools and accessories. Use the side burner to simmer BBQ sauce or sauté veggies while the main course grills under the lid. 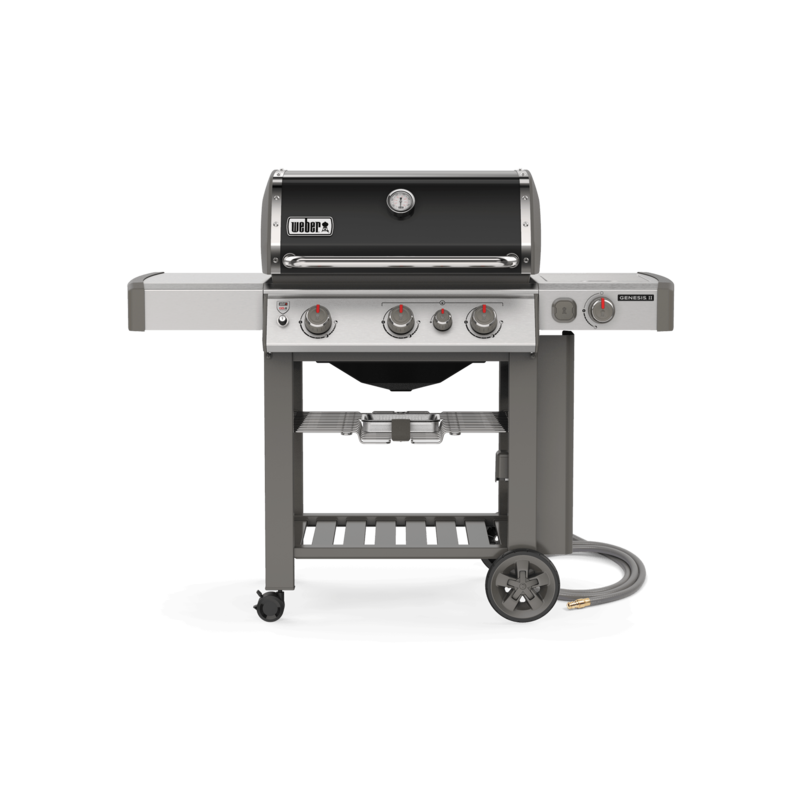 Stainless steel lid retains heat, and the high quality material protects your grill from the elements.